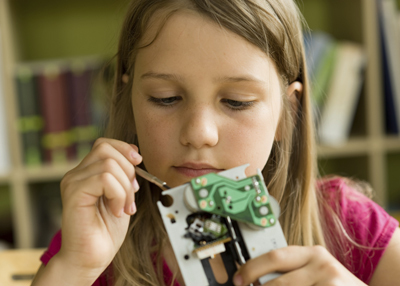 Sci-Tech Discovery’s Mind Stretching Fun® Summer Camps have nine exciting themes to choose from! All programs are taught by professional educators who combine hands-on activities with engaging information, geared towards inspiring campers to learn & love STEM! Camps are 9am-4pm with extended care available from 8am-5pm. Max 20 students per group (1:10 ratio). Sci-Tech is a nut-free, BYO lunch site. Camps run from June 9-August 22 and all take place at our center. 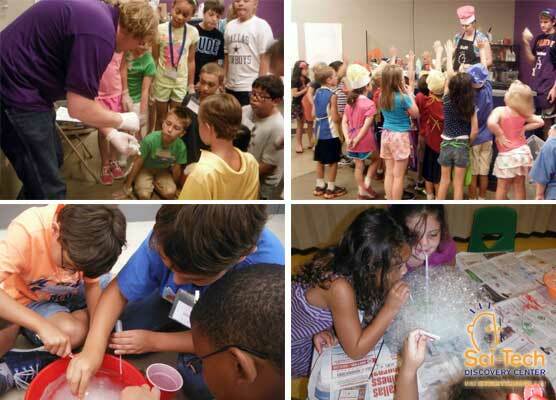 If your child loves hands-on science fun, Sci-Tech Discovery Center’s summer camps are just the thing! For more information on Sci-Tech’s summer camps, visit their website (www.mindstretchingfun.org), connect with them on Facebook or follow their tweets on Twitter. One winner; one prize: one week of camp (8am-5pm Monday-Friday), theme of choice, for campers entering grades 4-6 (based on availability). Contest ends on Monday, July 21st at midnight CST. Winner will be notified by email and must respond ASAP. Email used will be the one you use you leave your comment below so make sure it’s valid. For more information on summer camps in North Texas, check out our Summer Camp Guide. My daughter would really like Crash and Boom! My daughter would really enjoy Dream, Design, Do! My boy loves to tinker so I think that Dream, Design, Do (an engineering camp) camp would be great. He would get to tinker and that makes his day. My 6 year old would love the robotics camp. My son would love to attend the Math or Robotics camp! Thanks for the opportunity to possibly win a week at Sci-Tech! I would love for my son Alex (Age 9) to be able to attend to one of your camps. Either of my kids would love Dream, Design, DO…..
My grandaughter would like DREAM, DESIGN, DO! August 18th Dream & Do! What a generous giveaway. … Thx! My son would love robotics! My daughter enjoys learning about animals and I know she would love the Wild World week. My son would LOVE robotics and math! My son would like the Math Maniacs camp they offer! My son would love Robotics!! I have always been good at math so I want to learn something new at Math Maniacs. I also love animals and science so I can also go to Wild Worlds.